At each concert, her fans were handed paper megaphones with a QR code to download WeChat and subscribe to her official account. After following, they were greeted with a warm message from Alessandra herself and asked to take a #selfie and send it back to her account. These selfies were then displayed on the LED screen at the concert stadium five minutes before her performance. After a swarm of photos were submitted and displayed, 15 lucky fans were invited to meet with her backstage after the concert. And there we have it, six degrees down to one! 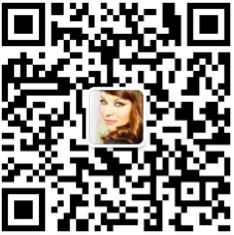 Fans can also follow Alessandra on WeChat by scanning the QR code above. Simply tap the Discover tab > Scan QR Code.